Which MPs are quitting - and who might stand? Who is joining George Osborne in stepping down as an MP, and who plans to return? UKIP and the Greens are making electoral pacts with rival parties - what's going on? It's been a day of campaign speeches for many of the political leaders in the UK, while in Brussels EU members have been preparing for Brexit negotiations. The prime minister and Liberal Democrat leader Tim Farron are the main guests on Sunday's Andrew Marr Show. Theresa May will be giving her first television interview of the election campaign and Boris Johnson's sister, Rachel, will talk about why she defected from the Conservatives to join the Lib Dems. "We need guarantees," he said in Brussels, as 27 EU leaders backed the bloc's Brexit negotiating guidelines. The top EU figure puts rights centre stage as the EU-27 formally approve negotiating guidelines. Brexit Secretary David Davis has responded to news that EU leaders have unanimously agreed the negotiating guidelines for Brexit talks. Mr Davis said: "Both sides are clear - we want these negotiations to be conducted in the spirit of goodwill, sincere cooperation and with the aim of establishing a close partnership between the UK and the EU going forward. "But there is no doubt that these negotiations are the most complex the UK has faced in our lifetimes. "They will be tough and at times even confrontational. "There are already people in Europe who oppose these aims and people at home trying to undermine them." Theresa May has now concluded her talk in Scotland. She reaffirmed statements she has made previously that voting for the Conservatives would "strengthen her hand" in Brexit negotiations, which she said in turn would strengthen the economy, Scotland and the union. Mrs May says predictions of an immediate financial crash following Brexit did not materialise because of the "strength the government has shown". She says when she took over as leader, the country was divided and but now there is a "unity of purpose" around people wanting the government to get on with Brexit and make a success of it. Mrs May also said the election was about "leadership and stability". She repeated her party's recurring message that the election represents a choice between a "strong and stable" Conservative government and a "coalition of chaos" led by Jeremy Corbyn. Theresa May says there is only one party committed to the union and only one candidate that will defend the UK. She says if voters "strengthen her hand" she will work to ensure that "Scotland and the UK flourish together". Theresa May is now talking in Scotland. She says every SNP MP elected gets Labour leader Jeremy Corbyn "closer to Downing Street". She also says polls have been wrong before and points out Mr Corbyn was a "200-1" underdog to win the Labour leadership contest in 2015. Currently, polls have Conservatives in a commanding lead - with some placing them on 50%. The Labour leader also used his speech to urge young people to register to vote and back him. 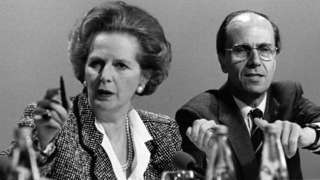 Do strong leaders make good prime ministers? There is a stark difference between a strong leader and a strong leadership, says Archie Brown. UKIP has said it will not field a candidate against the Conservative MP for Peterborough, Stewart Jackson. 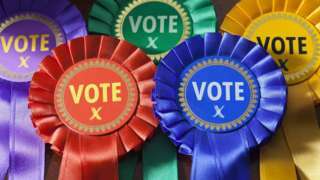 It is the second so called "non-aggression pact" to be announced by UKIP and is aimed at helping what the party sees as "real Brexiteer" Conservatives hold on to seats where they have small majorities. In 2015 Mr Jackson defeated Labour's Lisa Forbes into second place with a majority of 1,925. Yesterday UKIP said it would not stand against Kettering MP Phillip Hollobone, another Brexit campaigner. EU leaders have unanimously agreed the negotiating guidelines for Brexit talks with the UK. The 27 leaders - UK PM Theresa May was not present - approved within a minute the the guidelines first issued on 31 March by Mr Tusk. Two women have been arrested on suspicion of assault at a UKIP event in Hartlepool, police have said. The women, aged 62 and 28, were arrested at the Headland while the area was being attended by UKIP members, officers said. UKIP leader Paul Nuttall had been due to give a talk there this morning, but his speech was cancelled due to "unforeseen circumstances", the party said. 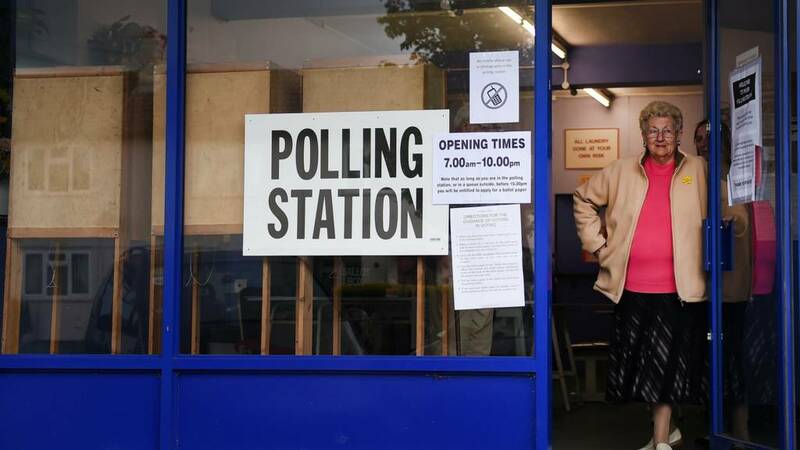 A local government expert says there is a danger that council elections could become a "large opinion poll". 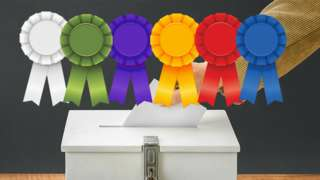 A local government expert says there is a danger that council elections could become a 'large opinion poll'. Shadow chancellor John McDonnell has signalled Labour will pledge not to increase VAT or national insurance in an interview with The Guardian. Prime Minister Theresa May has refused to say on the campaign trail whether she will keep her party's 2015 manifesto pledge of no rises in VAT, national insurance or income tax. 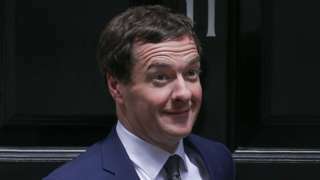 Mr McDonnell said he could not pre-empt the party’s manifesto, which is agreed through its national executive committee and policy forum, but suggested he would make the case to rule out national insurance rises and any hike to VAT. There's been drama this morning in Hartlepool, where UKIP leader Paul Nuttall was due to give a speech. Mr Nuttall has cancelled his talk due to "unforeseen circumstances", according to the party. The BBC's Sunday politics presenter in Newcastle tweeted a video of an altercation that broke out while UKIP supporters waited for him to turn up. What drew UKIP to Boston and Skegness? So Paul Nuttall has now confirmed he will be standing in Boston and Skegness - and it is not hard to see why. The Lincolnshire constituency had the highest percentage of Leave voters in the UK's EU referendum - 75.6%. Its incumbent MP is Conservative Matt Warman, but UKIP came second there in 2015, slashing the Tories' majority by some 8,000 votes from 2010. The trend in the constituency is also an upwards one for UKIP - in 2005 it came fourth with just 4,081 votes. 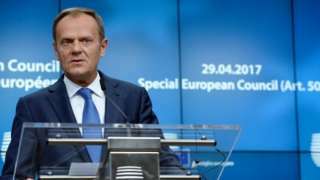 The president of the European Council, Donald Tusk, says the 27 EU member nations - all but the UK - have "unanimously" agreed their guidelines for Brexit negotiations.